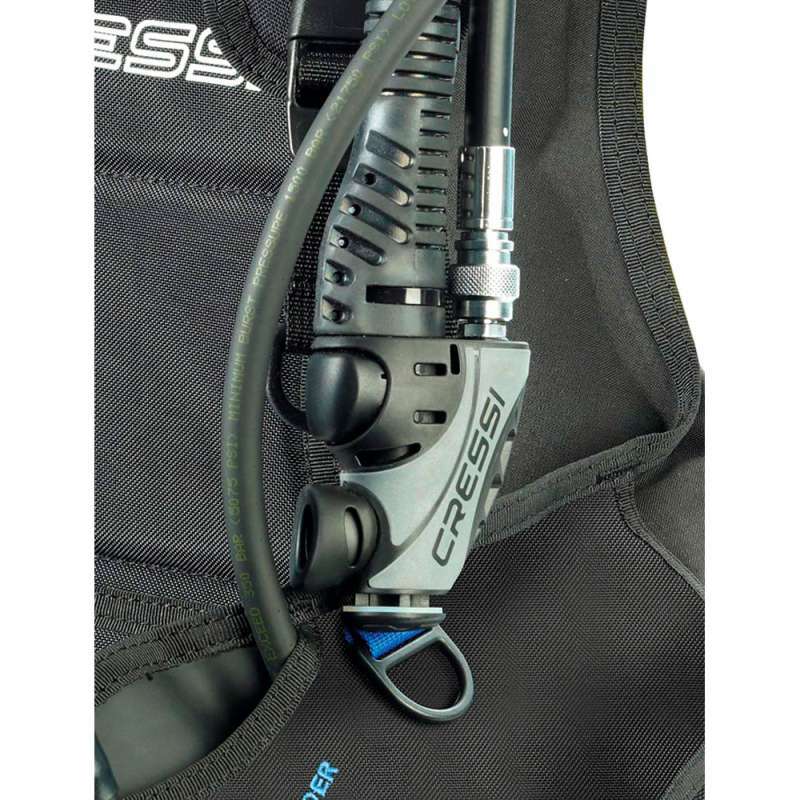 If you are in need of a strong, durable, and waterproof buoyancy compensator, then the Cressi Start BCD is right for you. Being made of an extremely strong material (500 & 1000 denier Cordura) and equipped with an excellent buoyancy system, this BCD jacket fits everyone bill even on smaller sizes. It is designed in such a way to be convenient to dive training and suitable for a demanding use of rental facilities. Thus, this amazing BCD jacket comes with 3 over-pressure relief valves, of which two are positioned on the right and left shoulders whilst a third one is located in the right rear part of the air cell. You can be dump manually all three valves – two of them can be dumped with the pull cords while the third valve can be unloaded with the inflator power mechanism. In addition, there are two additional snap hooks as well as two plastic D-rings to attach accessories and/or instruments while diving. And that’s not all! 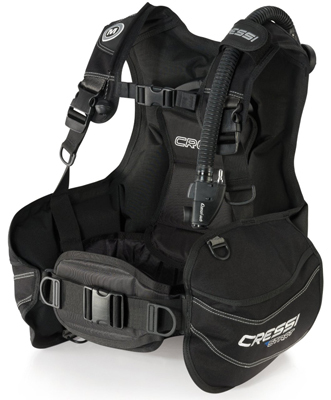 Cressi Start BCD also has two big accessory pockets that come along with the Velcro closures. 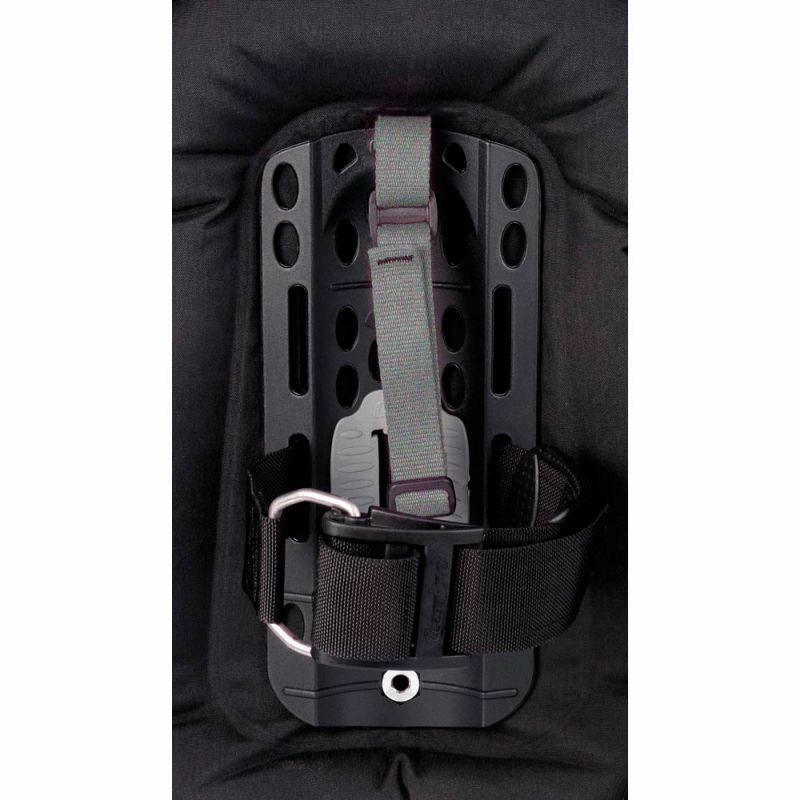 Both torso and sternum adjustment straps are equipped with the buckles that allow quick release. 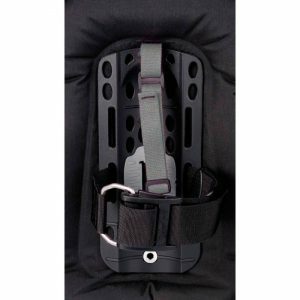 The waist strap assembly prevents the squeeze effect when you dive by inflating the air cell. Therefore, the backpack in question is rigid for stability and support of the cylinder, but it is completely padded for comfort. A perfect dive gear for all divers. It gives years of reliable use to sports divers. Besides the sports divers, this product is also suitable for all diving enthusiasts who love snorkeling and scuba diving. Suitable for Dive Facilities. Thanks to the highly-visible size indicator (placed on the right shoulder), you can safely use this item at dive facilities. This is a great BCD Buoyancy Compensator for a dive training to improve your diving skills. Since this BCD is available in several sizes, it is suitable for both adults and kids. Recommended for travelers who want to experience underwater ocean world during their trip. It is very strong and durable, perfect for more demanding divers. Most people find it sturdy and high-quality construction. It is practical and easy to use, especially under water. The waist and shoulder strips are suitable for fitting additional gadgets, such as camera, gauges and etc. They are also durable and can withstand rough usage. The customers particularly like the side pockets. Two side pockets are in a perfect position and they offer more than just enough space. They feature Velcro, a system that replaces the conventional zipper. It is almost $200 cheaper than similar models, but still offers the same level of practicality and functionality. Almost all owners claim it is great value for money. Available in several, different size, so it suits for all divers and all applications. The main cons of this BCD are not having an integrated weight system and it’s maybe a little too basic for intermediate divers. The Cressi Start BCD is more than an ordinary backpack for divers meaning that it has a lot to offer and it can meet your expectations, no matter how high they are. The quality is even better than some, more expensive models have, so it is definitely more than just a great choice if you look for perfection. Practicality is the next best thing, allowing you to use this model anywhere and at any time, without an issue. The bottom line is that this is definitely a diver’s choice. You probably can buy the Cressi Start BCD in any of your preferred diving shops, but here you can find a few online options. These online options are affiliate links. That means we’ll get paid a commission if you decide to buy the reviewed product or any other item on them. This doesn’t affect the final price of the product. You won’t be paying any extra charge. Probably the opposite, you’ll get some extra discount. When searching to buy online, we must be sure that the product is available in our country. There are some restrictions on international sales and some e-commerce sites only ship the product to specific areas. Amazon.com: the selling price changes quite often due to special offers and promotions.We found variations from $197.95 to $224.95 with just a few days interval. Usually with free shipping. Due to shipping restrictions, it’s possible that you´ll need to make a new search in your country Amazon site. Amazon Spain (Europe): at the moment I’m writing this review there is a cheap starting price of just €190.91. It depends on the size you need and the vendor. Hope this review will help you to make a decision in a purchase or not this Buoyancy Compensator. Please, leave a comment with your own experience or questions about the Cressi Start BCD. You also can subscribe to our blog, follow us on social media and share this post if you like it. 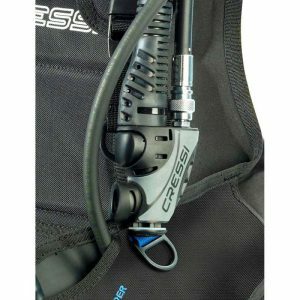 I have been diving for some time and i have not heard of the Cressi Start BCD. Currently i have been diving a Zeagle concept 2, but it is an older BC and I think it is time for something new. I did not if you mentioned it, and I really can’t tell by the photo. Is this a weight integrated BC, or do you need a weight belt? Thanks for reading this review and commenting on it. Cressi is a popular affordable brand, but with reliable products. The answer to your question is not. The Cressi Start hasn’t weight integrated. That’s the reason we think it’s a good option for training. One of the best examples of a product review I have read. If I bought it direct would it be cheaper?. Good post. Very informative. Well done! Thanks for your comment Rodney. The affiliate link in this post doesn’t affect the buyer. You’ll get exactly the same price as if you visit directly Amazon website. However, if you click on the link and during the next 24h you buy anything on Amazon (not only the product reviewed), we’ll get a small commission that can help us keep investing time in this blog. My husband and my son often go diving since we live near the sea and it would be a great idea to buy them this jacket. It looks like a high-quality jacket! I know that all the dry bags we purchased are made of 500 Cordura and it they withstand heard abuses. I just would like to know a few things before I decide to buy the vest. Does this jacket suit for 14 years old boy? Also, of what material the buckles are made? Plastic or metal? It’s crucial for me to know this because some of my bags have poor closures. The buckles are not strong enough. Related to the size, it ranges from X-small to X-large, so shouldn’t be a problem to find one that suits your son. Almost all buckles are made of plastic. Hope my answers help you.